This is to inform all the candidates that participated in the National Business and Technical Examinations Board (NABTEB) 2016/2017 May/June examination that their results have been released following the release of the statistics. NABTEB 2016/2017 May/June examination results have been fully uploaded online. Candidates can now buy NABTEB result checker PIN online at affordable price from Expy Multimedia. Candidates searching for where to purchase PIN and serial number for NABTEB result checking can now reliably get it from ExpyShop. 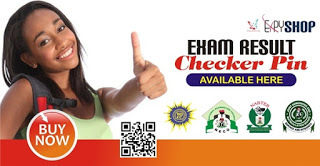 You can purchase result checker scratch card at any of the NABTEB zonal offices across Nigeria. From time to time it may become available at any other outlets so designated by NABTEB. 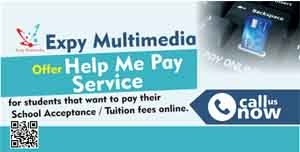 You can get the result checkers card from us at rate of N800 call us on how to make payment and get the card details through SMS. NOTE: You can only check your results up to a maximum 5 (five) times with the use of 1 (one) scratch card. In order to check further after exhausting the allowed 5 (five) times you will need to purchase another scratch card which will entitle you to another 5 (five) result checks.